After the NAIS Parent Workshop on Additional Support Needs, our team were asked for more information on how to help children settle into a new country. Ms Jane Henderson, Head of Additional Support Needs would like to share the following document. It provides details on what to do before you leave and tips on how to help children settle such as joining support groups like the NAIS Buddy groups. Whatever the age of your children one of your first and most important tasks at a time when you are likely to be facing a range of different challenges will be to help them to settle in. How you achieve that will vary, but routine will play an important part. Alongside getting them to explore and become excited by their new home, it is important that you establish a routine as quickly as possible. You may be in a hotel or serviced apartment prior to moving in to your longer-term accommodation, but you can still take meals and get to bed at their normal time. With the main breadwinner having to establish themselves in their new work environment and face whatever challenges has brought them to their new role, it can be a challenge to find the time to spend with the family. It is essential that as much time as possible is devoted to exploring their new surroundings and feeling comfortable and safe in their new home. As a parent it is important that you try and see the world through the eyes of your child. Starting a new school in a strange country will be extremely daunting for the majority of children and you need to do everything you can to guide and support them through this process. Children generally adapt to change very well and it will not be too long before they have settled in and made new friends. However, it is very important to remain vigilant to their feelings throughout the process and continually help them to accept that their new country is their home. Moving abroad with your children requires a lot more than merely involving them in the process. Upon arrival, you will have to find new ways of helping your children adjust to the new environment. After all everything in your host country may look or even smell differently, not to mention the fact that people talk “funny”! While your family has lived an ordinary life so far, you may now stick out like a sore thumb. Your language, nationality, and maybe the colour of your skin will set you apart from the locals. This is not necessarily a bad thing. Expat children adapt to new situations with greater ease than adults. Other children may be curious about your child because of all the things which distinguish them from the locals, not in spite of them. With all the planning that goes into moving abroad it’s easy to neglect those members of your family that don’t have a choice in the matter. Typically children find out about the big move once the decision is made, and parents seldom know how to help make this very important transition in their lives. The child’s age and developmental stage are big factors. Preschoolers locate “home” wherever their parents are – and are ideal candidates for even the most extreme expat relocation. Between ages five and ten, children can develop strong but flexible attachments to friends and schools. This means that if they are prepared adequately for the move, they can quite quickly adapt to their new environment and for new social attachments. Teenagers are often the most reluctant expats. Their identity is wrapped up in their social relationships and recreational activities. Leaving these can be profoundly dislocating and can even be experienced as a form of bereavement. Preparing your children for living abroad is a process – one essential to go through if you want your overall expat move to be a success. Of course, some kids will embrace the experience from the first mention of “We’re moving to Kinshasa!” and in all likelihood will thrive in their new home. And some expat moves to similar cultural environments will entail far fewer adjustments. But most will need a little help to reach a stage of acceptance and positive adaptation. Let the children participate in the decision-making process. Involve them from the start so they have a chance to get used the idea, raise any concerns, and – most importantly – feel like their opinions helped shape the decision to move abroad. Show the, choices of accommodation and schools and get their input. At this stage it is vital to be clear and realistic in the information you provide. Not everything is going to be easy; some sacrifices might have to be made. Don’t fudge the details – honesty with an emphasis on the positive is the key to gaining your children’s acceptance. Involve your children with packing – which favourite toys need to travel with them and which can be shipped. Pack familiar bedding so that when you arrive at your destination there is something familiar from home. The best antidote to doubt and anxiety about the move is information about the destination. Get books and DVDs, login to websites, buy some food from the destination – whatever it takes to get familiar with what will be their new home. For younger children this can involve teaching them what fruits are good to eat, what animals are dangerous and other important safety considerations. Give them a list of simple words to learn in the language of the destination country. When they arrive these few phrases can generate incredibly positive reactions in local people and immediate feelings of accomplishment in the expat child. Children may feel they are leaving a lot behind when they leave their established home. The transition can be eased by reproducing aspects of home in the expat destination. Set them up with a Skype account to chat with friends, help them build a blog to communicate their new life. Buy a gift for their new room that can only be opened on arrival. Get them to bring items from home to show and introduce to their new classmates. If possible, relocate the family pet. Experts in emigration transitions emphasise the importance of having a proper farewell. Think of it as a gateway between the new life and the old. Hold a going away party, take lots of photographs and make your children feel as if they are on the cusp of a great adventure. Get the children to plan their own goodbyes as well. It is advisable to spend as much time as possible with your children. Explore the city with them in order to familiarise them with their new surroundings. Be enthusiastic about all that you visit; your enthusiasm will have a positive effect on them. Introduce yourself to families that live nearby and join as many clubs as you have time for. If you have arrived before the school term starts, make sure your children are kept busy with activities and try to get them to interact with the other children in the neighbourhood. Describe each new experience they will encounter as an adventure and involve them first hand in planning daily activities. When you arrive, it’s not just the children that have to adapt. Whole families do too. Often children can be upset because they don’t have the same routines at home. When you arrive in your new country it will be very important to establish a routine as quickly as possible. Children feel much happier and secure with routine so the quicker you do this the more quickly they will begin to accept their new home. Small steps such as getting them into bed and giving them meals at their usual time will help them to adjust to their new life. Keep as many habits as possible that you had before the move; this can be as simple as a story in bed or a trip to a park on a Sunday morning. For some, it is quite easy to make new friends. Others struggle to get in touch with children their own age. You can help your children by meeting other families in your new neighbourhood. Your school or people from your expat community may be able to help you with that. Organise play-dates, join playgroups or even have a welcome party and invite your new neighbours over. Remember that in some countries it is easier to get in touch with locals than in others. But if you don’t give up, sooner or later you will make yourself at home in your new neighbourhood and your children won’t feel so foreign anymore. Clear time on a daily basis to discuss your child’s day at school and learn about the challenges and experiences they have faced. If your child is unhappy or confused about issues relating to their new educational environment try and identify these and talk them through. If you feel that an issue is becoming serious, such as bullying, isolation or poor behaviour, take the time to visit the school and discuss your concerns with the teacher. Together you may be able to solve any problems before they become more serious. You may also wish to encourage your children to discuss their experiences with other children who are going through similar experiences. Ori-and-Rick.net is an online resource that is aimed at encouraging children to share their experiences abroad. They can ask questions, share stories and submit contributions that may help other children. It is important for your children not to lose touch with people at home. You can help your children contact family members and friends at home frequently. Once you have set up an Internet connection, you can show your children how to use online messengers, webcams, and programs such as Skype. Also try to encourage your family and friends to visit you abroad. This helps children understand that these people have not disappeared completely but are in fact still a big part of their lives. Try to take a holiday once a year to visit your home country, too. A year can be a very long time for a child. Visiting their home country and seeing the people they love can have a very comforting effect on children. Children pick up foreign languages easily. You can, however, still help your expat children learn the language of your host country by teaching them a few words and phrases. It is always a good idea to begin early with this, ideally before the move. Get them a basic phrasebook or picture dictionary in the new language and look at it together. You can practice common phrases together over dinner, for instance. That way, learning the language will be less of a chore. Once they arrive, it will be easier for them to fully pick up on the new language. However, keep in mind that learning a language becomes harder for expat children the older they get. If your little ones are not so little anymore, they will have to be prepared for a higher academic standard at school and need to become advanced speakers quickly. It may be necessary to take a language class or receive private lessons in order to be sufficiently prepared. A good first step to settling in and living overseas with children is to contact different expat groups who can offer help, advice and support. Expat groups will be able to give you contact details for all mother and baby groups, crèches, toddler groups, playgroups and nurseries, all of which will help you to settle in and will offer a good opportunity to meet other families. The network you will form through these groups will also help you to integrate into the community. When your child starts a new school in their host country try to avoid putting instant pressure on them to come top of the class. The immediate concerns for your child will pertain to coping with an unfamiliar environment, fitting in with the other children and finding their way around a strange environment. Talk to them about these things and help them to plan how they will approach the first few days. Worry about grades later. Be aware that your child's grades could be affected by the move. Often, grades go down. This can be due to the change in curriculum, change in teaching styles or simply that they need time to adjust. Through attending extra-curricular activities outside the classroom environment your child will gain an opportunity to make new friends. If there is already a sport or activity that they are good at this will also allow them to build some confidence and win some respect among their peer group. If your child has to travel or walk to school, make sure they know the route, the times that the bus picks them up and where, and how to get home. Ensure that your child knows their home telephone number and their address, just in case. Leave special treats in their lunch bag. A note from you is always appreciated, too. Just try not to make them feel homesick, rather encouraged. Acclimatizing does not happen overnight. However, given time and the right opportunities, it should not be too long until your children start to accept the new country as home. Keep open lines of communication throughout the emigration process. This is especially important during the settling-in phase where the child will deal with unfamiliar people and surroundings, and will need plenty of positive support. Listen to your child, let them express their feelings, without necessarily coming up with solutions. Help your child to see that anxiety and fear are just the flipside of excitement and adventure. Lead them through the tricky early stages and they may soon blossom in their new environment. Teens are likely to need plenty of empathy and support even though they may not ask for it in an obvious way. Look out for rebelling and mood swings. These are signals that he or she needs help with the adjustment. An important strategy is to join online communities that offer peer-to-peer support. Sites such as Teenxpats.com and TCkid.com are excellent sources of information, advice and networking provided for kids by other kids. The good news is that if handled correctly moving abroad can be hugely beneficial to children. Studies show that expat children are more likely to develop into confident adults, with more adaptable and advanced social skills than their contemporaries. Thanks to their experience of moving abroad they are likely to cope better with change. They are also more attuned to and tolerant of multicultural differences – a useful attribute in an increasingly diverse world. A final attribute associated with expat kids is that they tend to have a confidence and curiosity about their world that stands them in good stead when making their way as adults. Moving abroad with children is subject to a range of variables, most important of all are the children’s age, temperament and the destination. Some moves will deliver a bounty of new experiences and adventures; others may involve a more constricted, challenging lifestyle. Regardless of one’s circumstances, children of all ages will need preparation. The more attention paid to this process during the early phase of the move, the greater the long-term benefits. 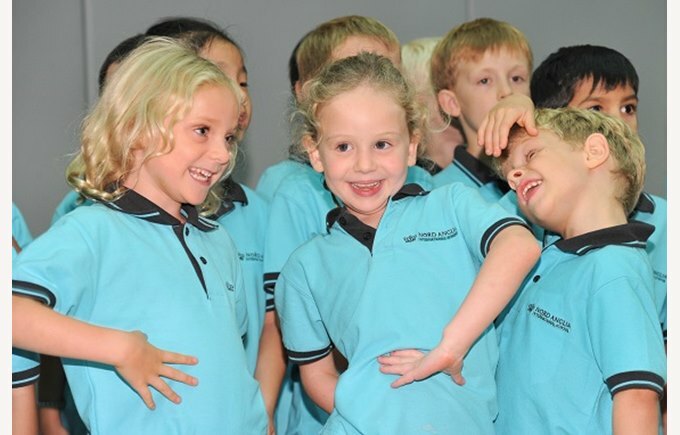 What do we do at Nord Anglia International School to support you? NAIS has a strong community of local families as well as long and short-term expatriates. Your child’s school often becomes a major focus not only of your child’s life, but also of your new social life. We encourage parents to keep close contact with our Admissions Team as they are an invaluable source of local information, as well as tips and advice on everything from places to live and visit, to joining sporting and social clubs. Our team are all long-term expatriates with young children, so they do understand the challenges and opportunities of living in a new city. All our families have the option of joining both a location-specific “NAIS Buddy” list which helps you to establish friendships in the area in which you live, as well as joining your child’s ‘Class List’ which puts you in touch with other families in the same class as your child. We also encourage parents to join local Facebook Groups or other activity-focused websites that connect families in the area in which they live. Please contact our Admissions Team with any questions you may have about your move to Hong Kong.